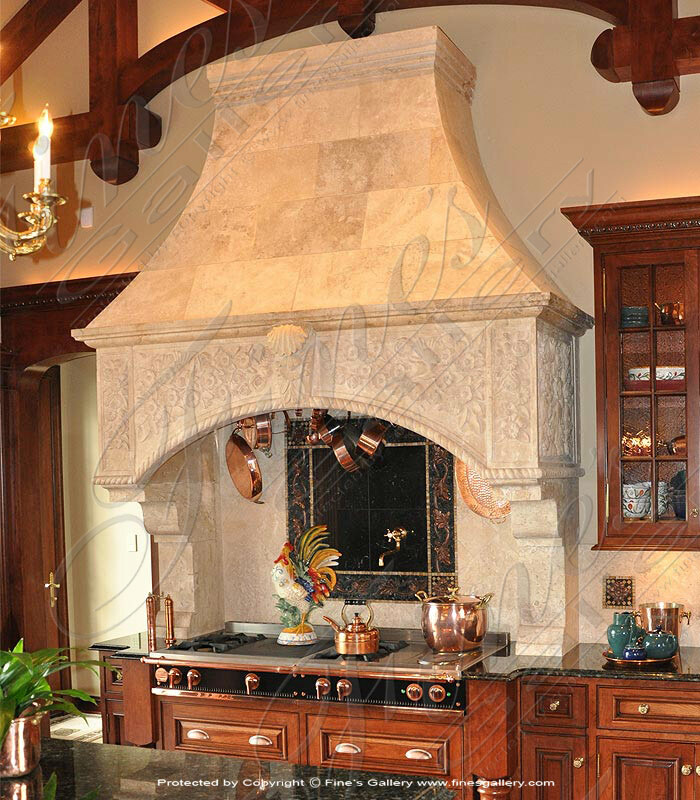 A beautiful carved marble range hood. We can produce as shown or according to your architectural plans! 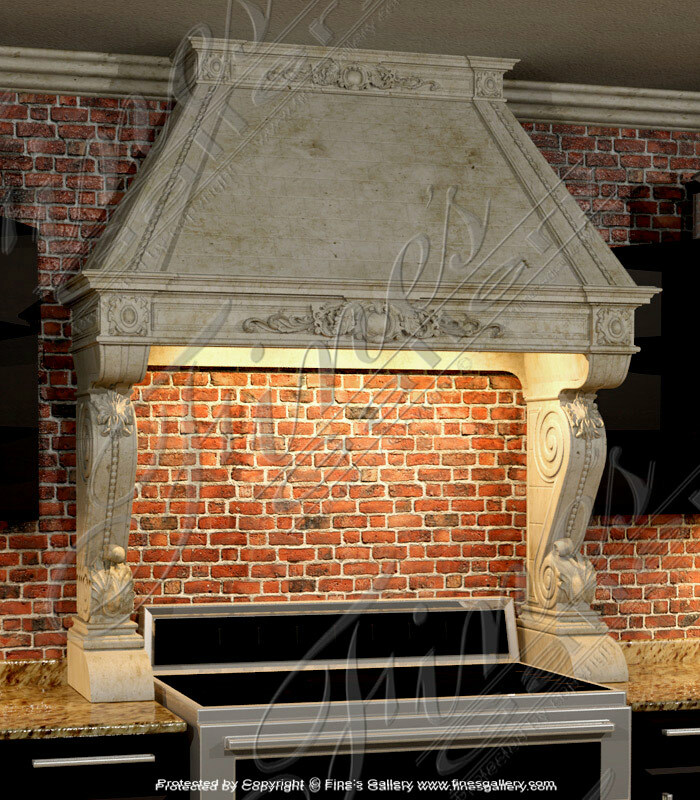 We custom design our range hoods according to your size, style and marble or granite selection! Call us for more details at 1.866.860.1710.